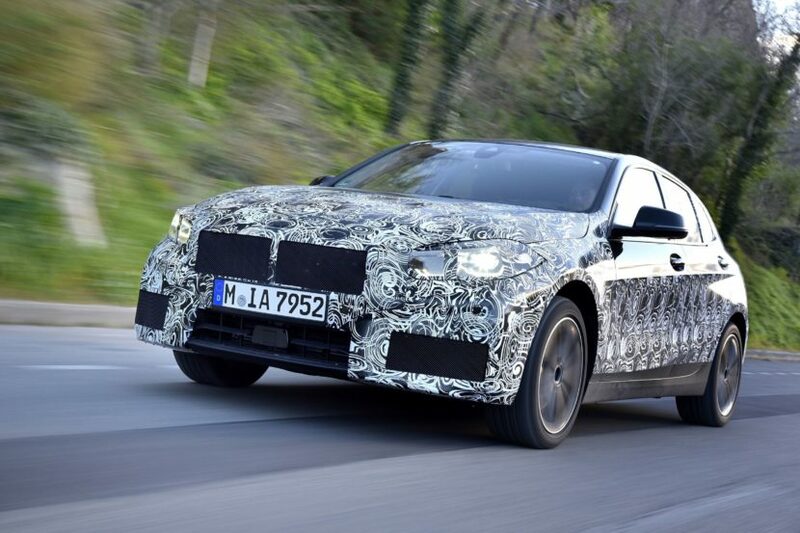 These new spy photos actually show us quite a bit of the new BMW M135i and, I have to say, it looks pretty good. When we first saw spy photos of the new 1er, we were nervous that it would look like a bland econobox but it doesn’t. At least in M Performance-spec, it looks sharp and angry, like a proper hot hatch should. The large wheels, roof spoiler, aggressive front fascia and lowered ride height all combine to make it looks like a lot of fun. One interesting design cue we can see in these photos is its Kidney Grille design. Not the actual design of the grilles themselves but the design of the grille inserts. Rather than traditional vertical slats, the BMW M135i sports the same “Y” pattern design that the BMW Z4 and M340i have. So it seems that this is going to be the new design of all M Performance car grilles. While I personally didn’t like it at first, it’s growing on me and I think it looks best on this car, honestly. Under the hood of the M135i will be a 2.0 liter turbocharged four-cylinder engine with 302 hp and 332 lb-ft of torque. 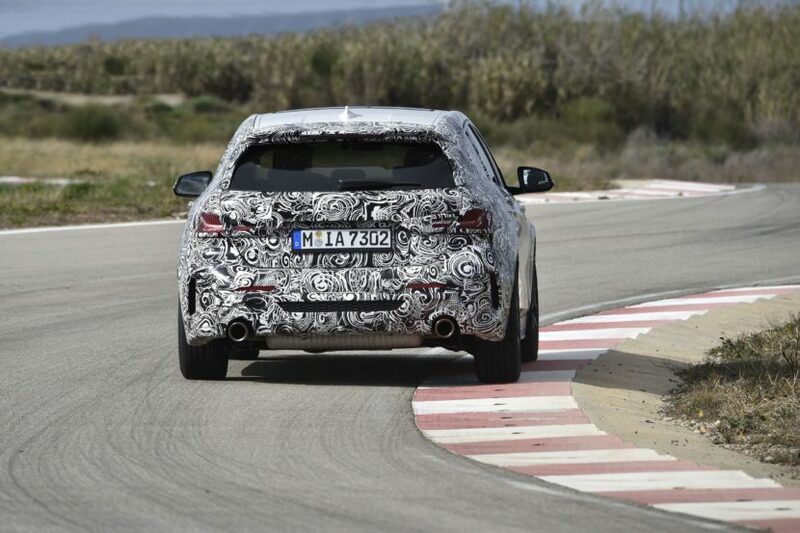 With that much power in such a little car, plus a clever all-wheel drive system, the BMW M135i should be a riot to drive, regardless of which axle is the primary driven axle.